A Servant’s Heart is a nondenominational, Christian 501(c) 3 not for profit public charity (EIN 57-1170024) that coordinates public and private agencies and organizations, as well as churches to help the homeless and disadvantaged of LaSalle County. 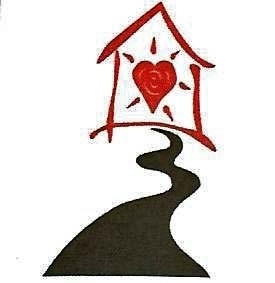 A Servant’s Heart ministry was formed to provide crisis intervention to the homeless and needy o LaSalle County, with the guidance of our Lord Jesus Christ to merge appropriate individuals and organizations to fill resource needs. The ministry also assists individuals in a time of disaster, such as the recent flooding (2013) and tornadoes (2010) that occurred in LaSalle County. The ministry provided clothes, furniture, household items, some food and water to individuals and families in need. All services, furniture, household items and food are free of charge and there is never a cost for these or any other services. A Servant’s Heart assists in finding housing, payment for utilities, providing clothes, furniture and other household items as needed. We have assisted individuals in obtaining their GED by not only paying the cost of the test but by tutoring individuals (a volunteer is available to tutor our clients who need the extra assistance). The ministry also operates a soup kitchen that provides meals 5 days a week from 11:30 a.m. to 12:30 p.m. at the Evangelical Methodist Church located at 1116 Illinois Street, Ottawa, IL. Although there is a local food pantry, A Servant’s Heart provides supplemental food during the days the food pantry is closed. The meals and food are free to those who access them and no one is charged. A Servant’s Heart ministry has a vision to provide a life skills and computer training programs in the future which will also be free of charge to participants. Currently there are 3 part-time paid staff; 1 Client Services individual, Soup Kitchen Supervisor and Store Sales Clerk. Currently the ministry has received no public funding. It should be mentioned again that there is never a charge for any services or items provided to our clients. Finally, it should be noted that the sales generated at the resale shop are used to pay for all or most administrative costs of the store and office so that all or almost all church and private donations can go directly into client care. I came by Saturday, 1/21 around 8:40 am. I was wanting to drop off 50 to 60 celery bunches acquired through where I work. Good morning, we moved to the area and I’m looking to volunteer somewhere with something similar to We Care in Morris. I used to volunteer there years ago and would love to get plugged in somewhere here. Please let me know if I can be of some use. We are always looking for volunteers. We have the soup kitchen, our client care office and our resale store. We are a nondenominational, Christian ministry working with the homeless and disadvantaged. If you would like to pursue volunteer opportunities you may call me on my cell phone at 815.735.2161. Grace and Peace. Please call our office at 815-434-3470 and talk to them. The office is located at 610 W. Jefferson, Ottawa, IL and they are open M,Tues,Thur and Fri from 9 am to 3 pm and today, Wednesday 9am to Noon. They can help with household items, not always furniture. You will need to fill out an application and talk to Sonjia who does the client care. You will like Sonjia, I encourage you to stop in or call and speak with her. We will keep you and your children in our prayers, but again, give our office a call. Grace and Peace. We do; you need to come in and fill out an application and meet with our client care director. She will then submit it for review. It will take a couple of days to review and then the committee will determine if A Servant’s Heart can help, and then, if so how much we can. The office is open tomorrow, Wed. 9 am to 12 N and Thur and Fri 9 am to 3 pm. The phone number at the office is 815-434-7470. I have called A Servant’s Heart three separate times to ask for assistance with food, transportation to go get food and assist with finances. No one called me back to even deny services. If you leave a voice mail, be prepared to be ignored. Sorry for the trouble you have been having; we have had some phone issues the last few days. I suggest you try again; if you have trouble please email us you telephone number and we will get back to you. I must tell you that temporarily we are unable to assist due to limited funds. Hopefully next month we have some additional funds. Hello i was wondering if i could get some court ordered community service hours done thru you? In need of help with Christmas for my two boys ages 3 and 4. My 4 year old has cerebral palsy and is very difficult to buy for. I live on a very fixed income between my job and my sons SSI we barely make it as is due to not having food stamps and paying rent plus all utilities. In desperate need of any and all assistance available. I do not have transportation easily available to make it to the local office. I am sorry, but we don’t do Christmas presents. You will need to contact Salvation Army or Red Stocking (at the Ottawa Times). I am not sure when the deadlines are for those two sign ups, so I would contact them ASAP. The Salvation Army phone number is 815.433.0798. Good luck.